Secure your workflow with Secure Swiss Data encrypted Tasks Manager. It allows you to keep all your task flow encrypted and secure. 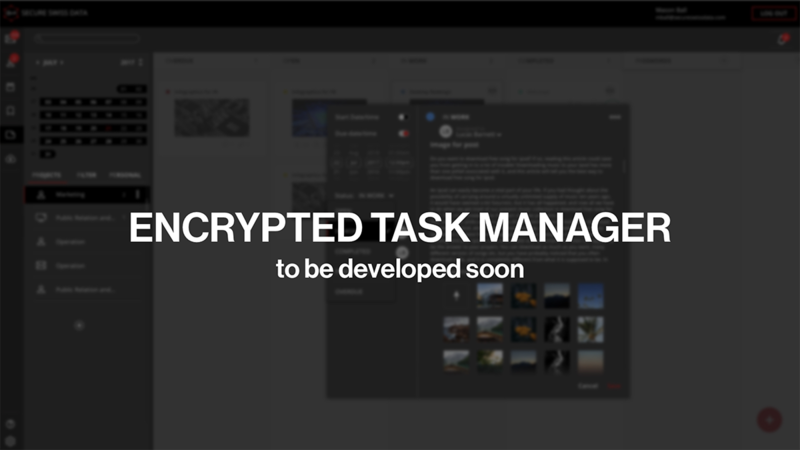 Create encrypted tasks, attach encrypted files to them, assign tasks to other members of your team, get reminders about upcoming and/or overdue tasks. Easily find the tasks due for today, this week, month, specific date or even custom date range. You can also get list of the tasks assigned to a specific person in your team.